Our mission is to mobilize the local community to raise funds and provide scholarships to make post-secondary education possible for deserving students. We were conceived around a simple idea: together we can step in and help local students achieve their educational goals. There's no greater gift we can give our student neighbors-in-need than access to the tools to create a brighter future. Doing so tells them that we take pride in their determination and share their dreams. updates from our alumni recipients. Our 2019 scholarship period is now closed. All completed applications will be reviewed by our awards committee. If you have any questions regarding your application, or if you feel something is missing in your application, contact us at info@sd4s.org. Join Us for Monte Carlo Night! Thanks to everyone who participated in our 2019 Giving Day fundraiser. We got more than half-way to our aggressive goal. In addition, we received a commitment from BIC Corporation to match $250 of what we raised which will put us over $2,000. When the community comes together, great things happen. #FairfieldCountyGives! UBS, FactSet, Interactive Brokers, Harman International, Webster Bank, United Bank, UBreakIFix, CGS Health, Speed Printing & Graphics, Lalor Attorneys, Beta Climbing + Fitness, BIC Corporation, First County Bank and WB Mason. Webster Bank will be the title sponsor, UBS has provided a Graduate sponsorship with United Bank providing the beverage sponsorship. The following are additional sponsors for the event: Speed Printing & Graphics, Harman International, Lalor Attorneys and The Tarzia Group. 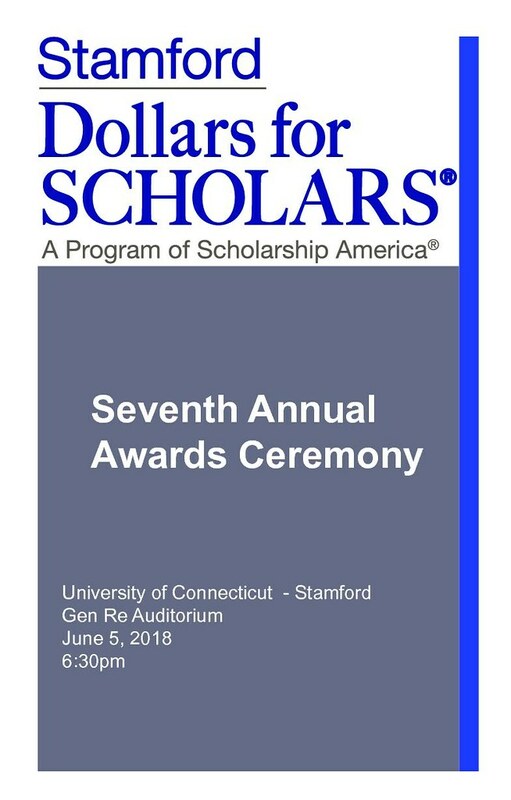 Stamford Dollars for Scholars held its 2018 Scholarship Awards Ceremony on June 5, 2018 at 6:30 PM in the Gen Re Auditorium at the University of Connecticut-Stamford. Thirty-three out of 221 applicants received 34 scholarships, totaling a record value of $114,700. The 33 recipients are graduates from The Academy of Information Technology and Engineering, Brien McMahon High School, Convent of the Sacred Heart Greenwich, JM Wright Technical School, Laurelton Hall, Stamford High School, Westhill High School and Trinity Catholic High School. Twenty-five scholarships are sponsored by members of the community in the name of a company, organization or an individual. Criteria, scholarship amount and the term of the scholarship is set by the donor. In total these scholarships are valued at $48,700. The organizations and professionals sponsoring 2018 scholarships through Stamford Dollars for Scholars are: Mayor David Martin (pictured right), Callari Auto Group, Connecticut Business Systems, CGS Health, Daniela Romano Scholarship (through Stamford Public Education Foundation), DynTek, Eastern Land Management/Moore Family, Exchange Club of Stamford, Global Organization for People of Indian Origin-CT, Dr. Robert B. Goldman, Family of John and Betty Burkhardt, MAS Construction, Heron Family, Nestle Waters North America, Tony and Joanna D'Amelio, Omnicom Capital Inc., Family of Remus M. Brice, Jr, Stamford Business Network, Stamford Federal Credit Union, The Tarzia Group, UBS Volunteers, UCONN/Connecticut Information Technology Institute and The Whittingham Family Foundation. 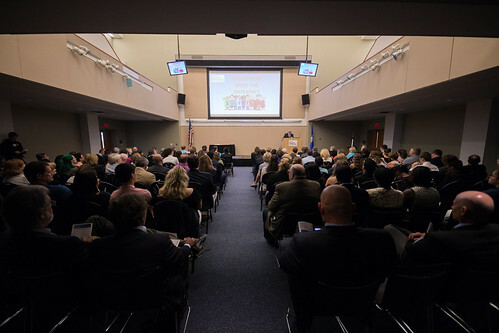 In addition, nine Stamford Dollars for Scholars scholarships were awarded valued at $66,000. These scholarships are made possible by the many generous donations from those in the Stamford community as well as fundraising activities throughout the year. 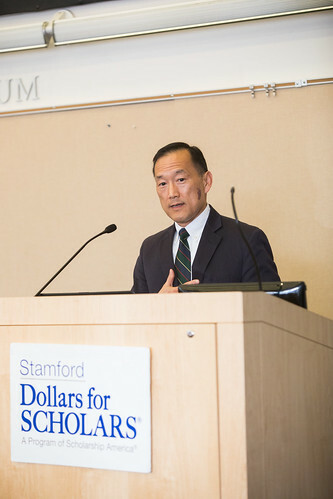 In addition to Mayor Martin, guest speakers included Stamford Public Schools Superintendent Earl Kim (pictured left) and Tim McMullen, 2014 scholarship recipient and 2018 graduate from the University of Virginia. This year over 500 students registered for our online application and 221 students applied for one or more scholarships. Purchase tickets to great events from tix4cause! If you have tickets to events, donate them on tix4cause. When you register with tix4cause select Stamford Dollars for Scholars as your cause and we will receive a portion of every sale and purchase. When you donate your tickets, your value is tax deductible. Click here to get started! 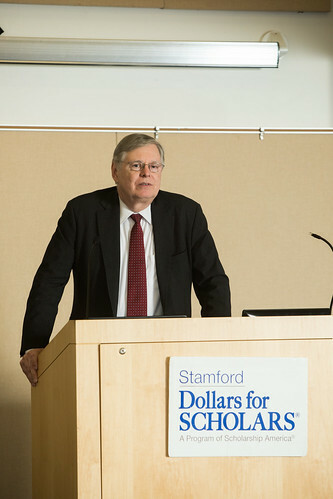 To find out the latest on what is happening with Stamford Dollars for Scholars, make sure you go to www.facebook.com/StamfordD4S and us. If you are on Facebook, this will assure you will see all of our postings. 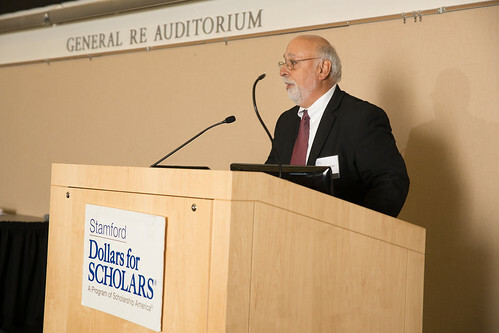 There are many ways to support Stamford Dollars for Scholars - volunteer your time, make a donation, create a scholarship for you company, organization or loved one. You can get additional information by phoning 203-885-SD4S (7347) or visiting our Facebook page at http://www.facebook.com/StamfordD4S. Our mailing address is P.O. Box 3559 Stamford, CT 06905.